All dogs need love in order to lead happy, healthy lives. 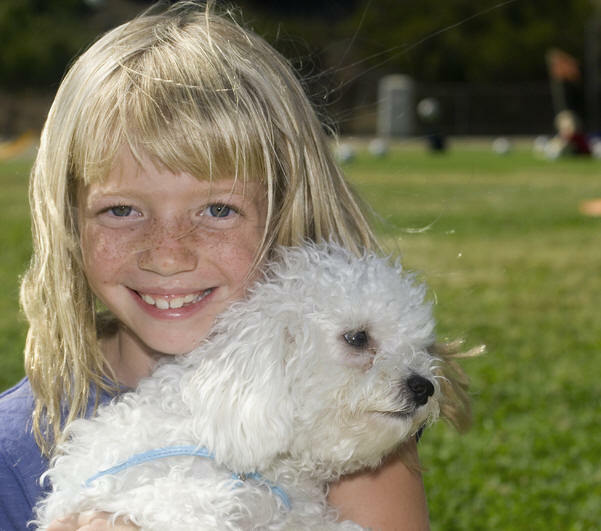 Since most breeds of hypoallergenic dogs are smaller, they will need even more love. There are several ways that you can show your dog that you love them. Spending time together, exercising, giving them healthy, nutritious food, and treating the dog with respect are all ways to show your love. In return, you will have a loyal companion that will respect and protect you, your family, and your home. Most small breeds need to be around people in order to feel safe. 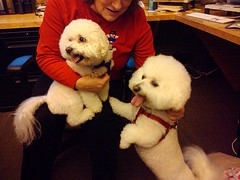 Hypoallergenic breeds enjoy sitting on the couch together, curling up by their owner’s feet, and following you around the house when you are home. Spending time with your dog by playing fetch, sitting on the floor, and talking to your dog are all activities that your dog wants to do with you. Since some breeds can get into trouble when they are left alone all day, you should keep your dog in one room of your home or you should crate train your dog. Dogs that are left alone may get angry or become anxious and nervous. As a result, they will chew on furniture, walls, clothing, or they will break items and rummage through the trash. Keeping your dog in a small room will help them stay calm. Walking your dog once or twice a day and letting it outside to play is another way to show the dog love. Exercise is a great way to bond with your dog. Not only will the dog be able to spend time with you, you and the dog will benefit from the exercise. Even if you do not have time to walk the dog everyday, you should still let the dog run around your back yard so it gets the exercise it needs. Making sure your dog has enough food during the day is the third way that you can show your dog love. There are dog foods for different breeds and stages of life. You should research which dog food is the best by asking the vet, reading about what your dog needs, and by reading the labels on the food. As dogs age, they will need different nutrients to keep their teeth and coat healthy. It is best not to switch dog food brands often because you may upset the dog’s stomach. If you want to introduce a new dog food, do it slowly until the dog gets used to it. 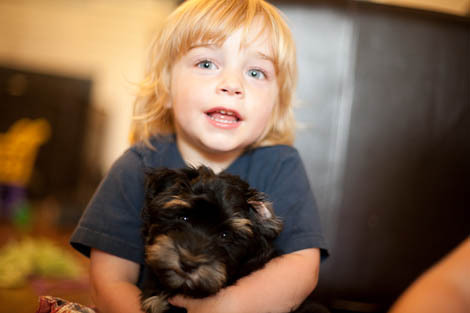 Respecting your hypoallergenic dog’s space will result in the more respect from your dog. Make sure your dog has a clean bed or blanket and they receive enough attention during the day. If your dog is sleeping, then you should not disturb it. This will only make the dog angry. Taking care of a dog also means respecting the dog’s boundaries. Some small breeds will become angry when their space in invaded during times when they do not want to be disturbed. As your dogs grows, you will learn when to socialize with the dog and when leave it alone.